Hello there hope you had a great weekend!! I am sharing a card I have recently made for a dear friend who’s undergone an operation on her shoulder. Carol adores the hydrangea head from the Because I care hostess stamp set and I knew I wanted to use that plus the sentiment was perfect too. I tried a new colour with this card as well Pacific Point. I am not a fan of blues and this strong blue wasn’t on my radar but I am converted, is funny that isn’t it? how you don’t think you would like something until you try it. 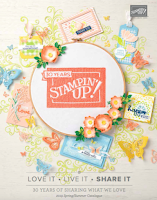 I used the same stamp to stamp a background onto my A5 Pacific Point card base. I then cut a panel in Soft Suede measuring 8.5cm x 12cm. Next a slightly smaller panel in vanilla measuring 7cm x 11cm was inked using crumb cake and soft suede, the music notes wheel has been stamped all over very faintly. I took the hydrangea image and stamped it in black then I coloured it using my markers. I used bashful blue, pacific point, tempting turquoise and baja breeze, for the leaves I have sued river rock and always artichoke. The sentiment was stamped in suede and punched out using the Large Oval punch. this has been sponged as well. I took some espresso satin ribbon and pleated it alongside the panel using a strip of sticky strip. And that is it simple to make but very striking. Here’s a close up for you to see the colouring closer, I used a white pen to add some highlights into the centre of the flower heads. This is stunning. How can anyone not like this fabulous colour? I love the background you've made Monica and Soft Suede seems to bring out the best in other colours. You color so beautifully! I've not tried my Pacific Blue cuz it seemed too bright but paired with the soft suede it looks super. wow-a stunning card Monica, love the colours.The background is amazing too. 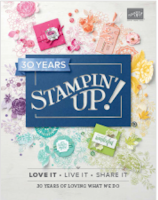 This is fabulous as I love this stamp set and am always playing with it, mine are not quite as striking as yours though! Monica, the blue colours are so vivid. You could almost reach out and touch your beautiful hydrangea. Love how you have used the stamp for background texture as well.